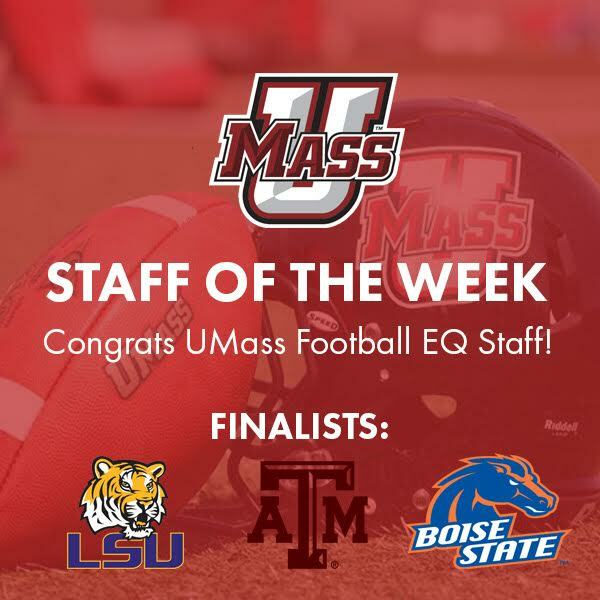 UMass battles a Two Week Road Trip to Staff of the Week! The UMass Football Equipment Staff faced a daunting two week task to end their season. They traveled to BYU and then to Hawaii - staying on the road the entire time. For facing a duanting end to the season, they are our Staff of the Week!